Huawei P20 Pro boasts loads of high-end specs and it picked up the Trusted Review Phone of the Year 2018. Its coolest addition though is the three camera system which includes a 40 megapixel sensor. A fantastic high-end smartphone with a camera setup that takes fantastic pictures. Even though the Huawei P30 Pro is out, of course, the Huawei Mate 20 Pro is also in the wild, the P20 Pro still remains an excellent phone and certainly one worthy of a buy. With its selection of high-end specs, three camera array on the back and huge battery, there’s a lot to get excited about here. Huawei has poured more time and effort into its design language with every recent flagship phone it’s rolled out and the P20 Pro is no exception. Continuing the trend set by the Mate 10 Pro, the Pro (along with the other members of the P20 line) sports a glass back and metal frame. We’re seeing a gamut of more enticing colourways from smartphone manufacturers nowadays and Huawei has arguably created one of the most arresting finishes available on any current flagship. The Twilight option features a reflective backing that transitions from purple to blue, whilst the Pink Gold version totes a similarly interesting pearlescent finish (the phone also comes in black and Midnight Blue). Unlike the latest Mate phones, the camera module on the Pro has been pushed up into the corner in a vertical arrangement similar to the likes of the iPhone XS Max, albeit with on clear difference, there’s a third sensor that sits separately from the other two; more on that later. The fingerprint sensor’s absence from the phone’s back is explained by its reappearance down beneath the display on the front. 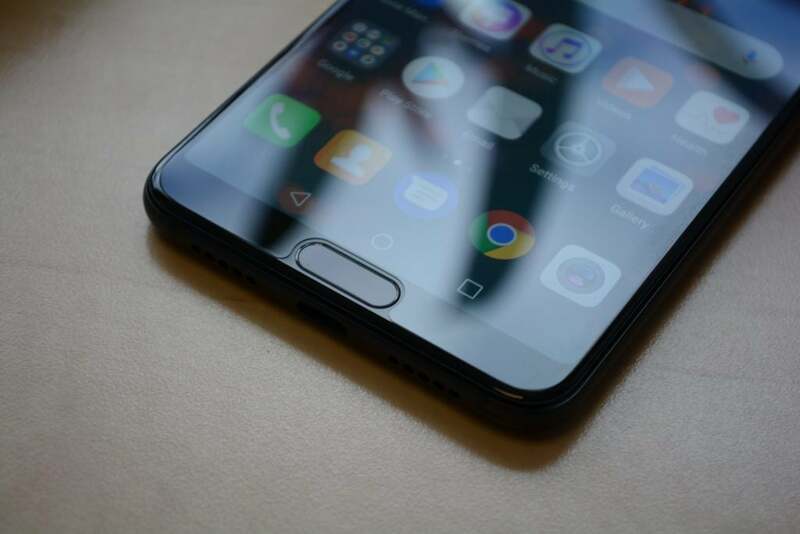 The P20 Pro is amongst the first of Huawei’s phones to adopt a notched display but this small intrusion has allowed the company to push the screen to the fringes of the phone’s front, granting you an expansive viewing experience with almost no bezel. 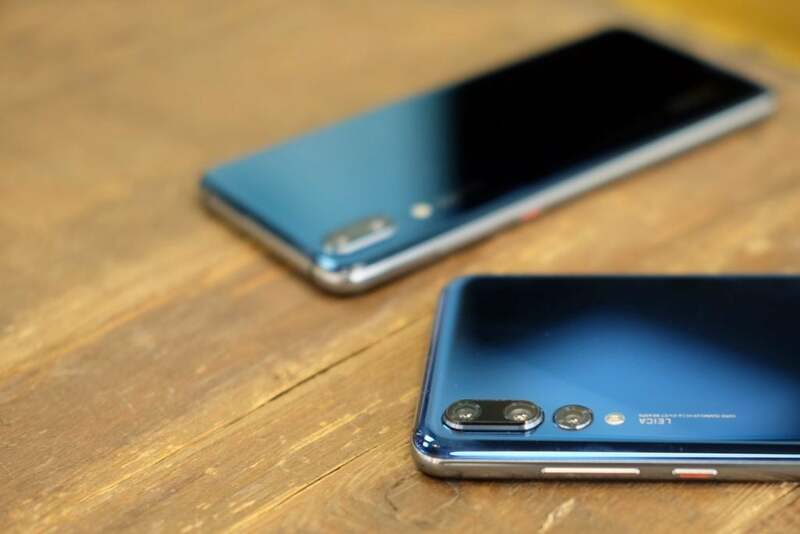 Despite the technological achievement on display here, I would have preferred that Huawei had left the sensor on the back (as it is on the Huawei P20 Lite), as the pill-shaped front-facing option that the Pro sports feels comparatively cramped, sitting on the sliver of surround that remains beneath the display. Its proximity to the on-screen navigation buttons does also mean you run the risk of miss-pressing from time to time too, as it also doubles as a capacitive home button, despite one also featuring within the UI. There’s a set of grilles along the bottom of the P20 Pro, situated either side of the USB-C slot that conceals one of two speakers and the microphone. Similarly to HTC’s Hi-Fi BoomSound arrangement, this downward-facing speaker handles most of the heavy lifting when you’re enjoying media. Collectively the Pro’s audio capabilities are respectable; with clean, clear, powerful sound (for a smartphone) that only breaks down at the upper limits of its range. Noticeably absent is a 3.5mm headphone port – something to bear in mind if you’re not a fan of dongles (Huawei throws one in-box) or Bluetooth headphones. Collectively the P20 Pro’s body has been built to an exceptional level of fit and finish. The polished metal frame blends almost seamlessly into the pillowed glass back, the phone boasts IP67 dust and water resistance and to top it all off, it comes fitted with a screen protector out-the-box, although if you’re not accident prone, I’d suggest peeling that off early on as, whilst it may be protecting the toughened glass underneath, it holds onto scratches and scrapes quickly, making an otherwise premium phone look a little tatty.